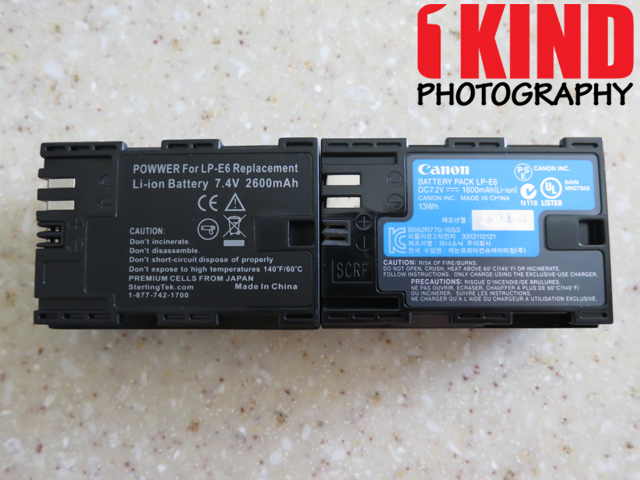 Overview : SterlingTek's Canon LP-E6 Battery is specifically designed to work for your compatible Canon EOS cameras such as the Canon 7D, 60D, 5D Mark II and 5D Mark III. 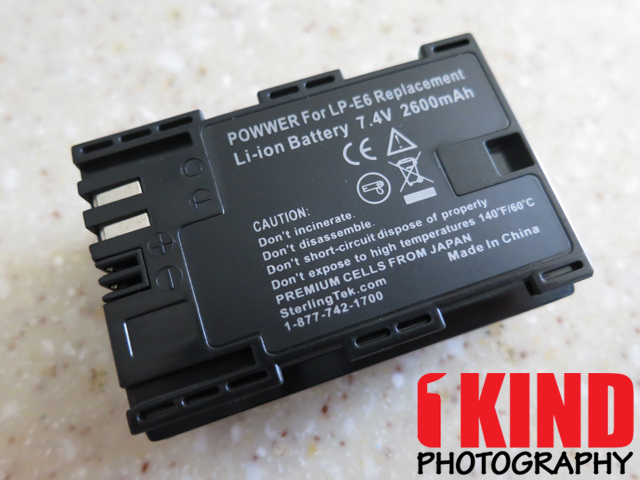 SterlingTek's Canon LP-E6 Battery (POWWER Brand) is made to exceed the OEM charging capacity. 1 Year Full Warranty: SterlingTek will replace this or any other item that you purchase from them for 1 year from the date your order is processed if it fails under normal wear or is defective. 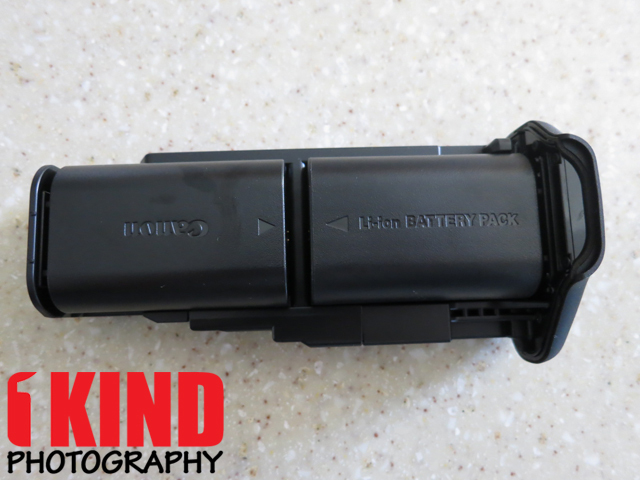 Quality/Usability : The genuine OEM Canon LP-E6 battery can be a bit pricey ($60-100) and since we were impressed with SterlingTek's POWWER NB-5L battery for the Canon Powershot S100, we decided to get one for our Canon 5D Mark III (5D3) and try it out. Some people will question why spend a couple hundred or thousand dollars on a camera but go cheap on the battery. I also know some people who will only get OEM batteries for warranty purposes? Manufacturer's won't know what battery you had in there unless you told them that you had aftermarket. I just don't think it's worth spending 3x-4x more just for brand name. But it's all personal preference. As a reminder, if you want genuine OEM batteries, avoid eBay and any sellers based in Asia. If the price is too good to be true, it probably is. There's really nothing fancy about the packaging. It comes in a cardboard box with a safety precaution paper and a cover for the battery. 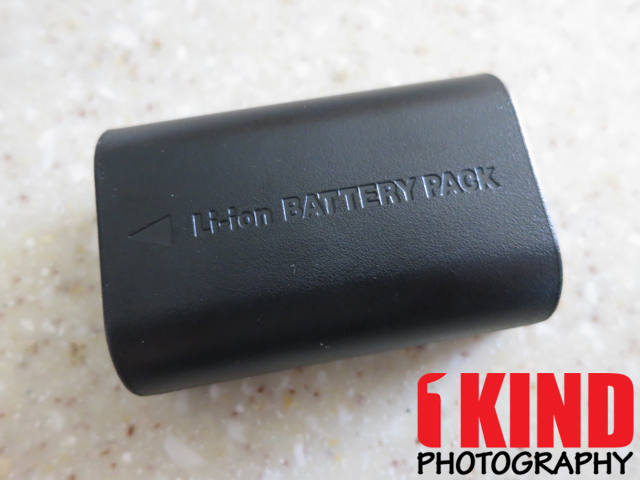 The LP-E6 battery is compatible with the Canon EOS 5D Mark II, 5D Mark III, 60D and 7D cameras. I love the fact that the battery is used by other camera models. If you ever decided to go from a cropped sensor 60D or 7D to full frame like the 5D3 or vice versa, you don't have to go and buy new batteries. 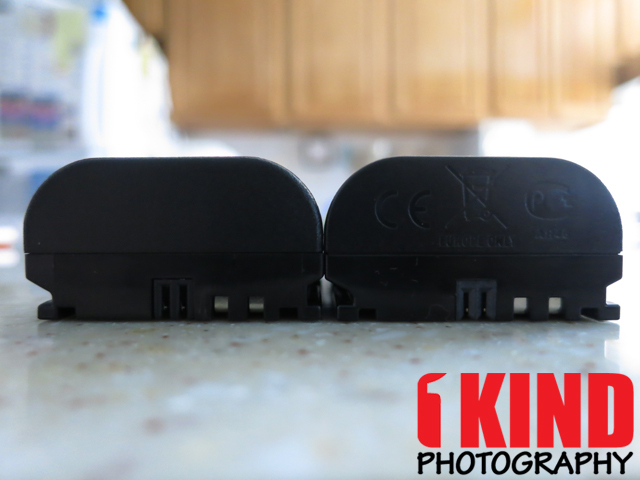 The size of the SterlingTek's battery is identical to the Canon brand, so there won't be any fitment issues. 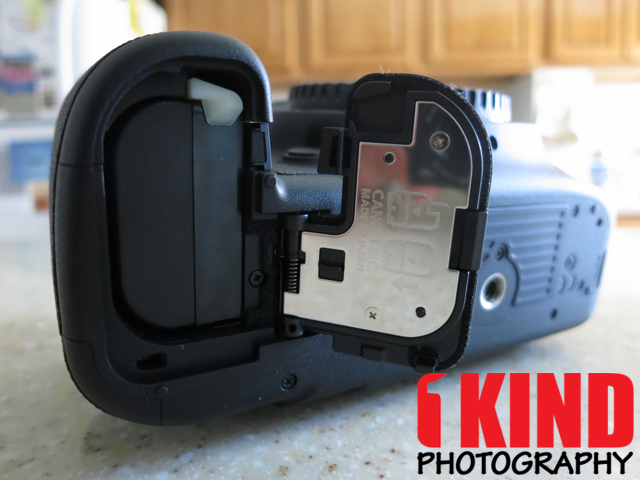 The SterlingTek battery fits perfectly, both in the camera and in the battery tray for the BG-E11 battery grip. 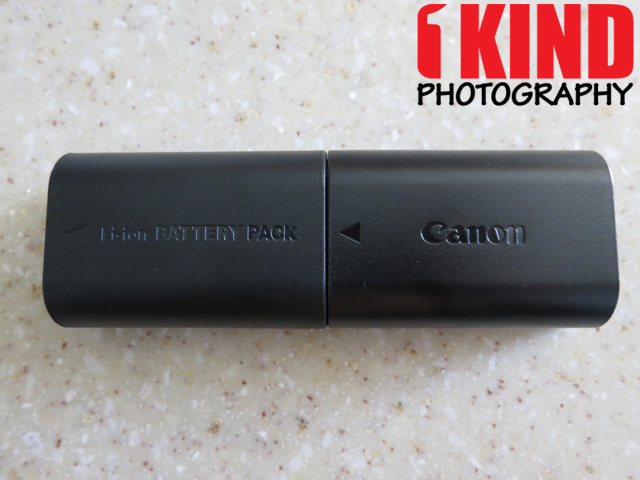 The genuine Canon LP-E6 is rated at 1800 mAh while the SterlingTek is rated for 2600 mAh. 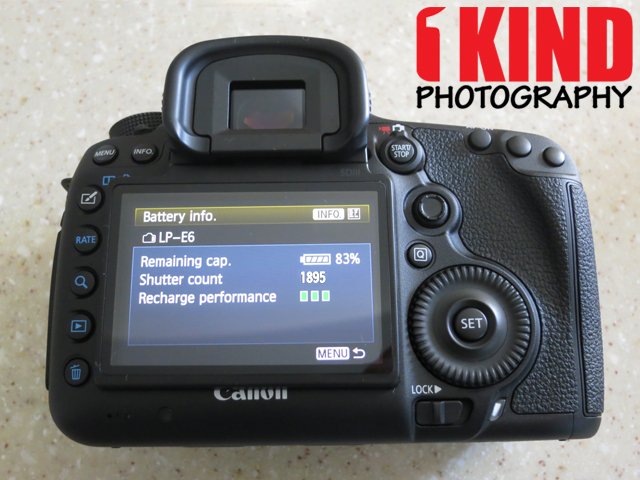 The camera is also able to report the battery status as well as shutter counts associated with the battery. 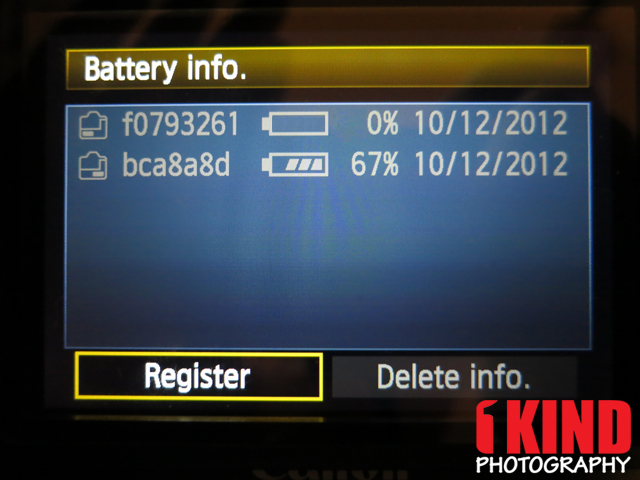 I've read that some aftermarket batteries doesn't display this info or gives an error even though it powers the camera. In order to display the battery information to display, there is a special chip built into the battery. 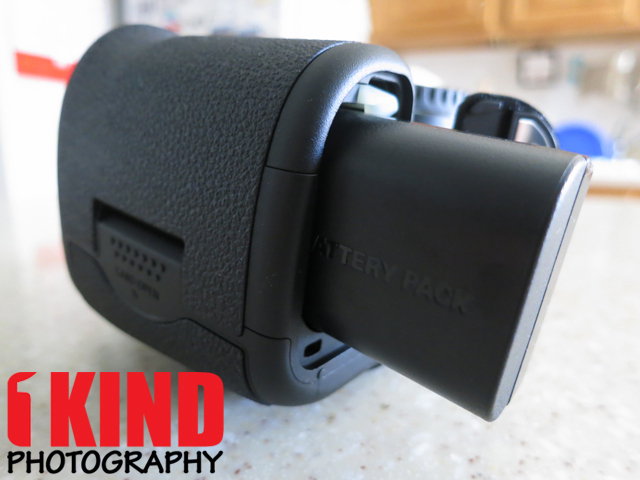 The SterlingTek battery has no problem displaying the info and has it's own serial number. I didn't purchase another SterlingTek battery so I can't confirm if the serial number is the same for all SterlingTek LP-E6 batteries. But from what I have read from other buyers is that the serial numbers are the same but the camera is able to remember shutter counts separately. So as long it works, that is all that matters. 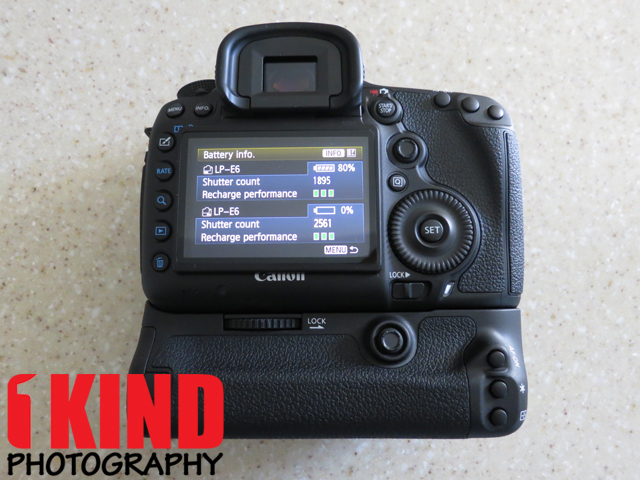 The genuine Canon LP-E6 on a 5D Mark III can provide about 1,000 shots before you have to charge the battery. With the SterlingTek having slightly more power, I was able to get a few hundred more shots before I had to change out batteries. Of course, the number of shots you are able to take depends on how often you look at the image preview and whether or not you have lens IS (Image Stabilization) turned on. 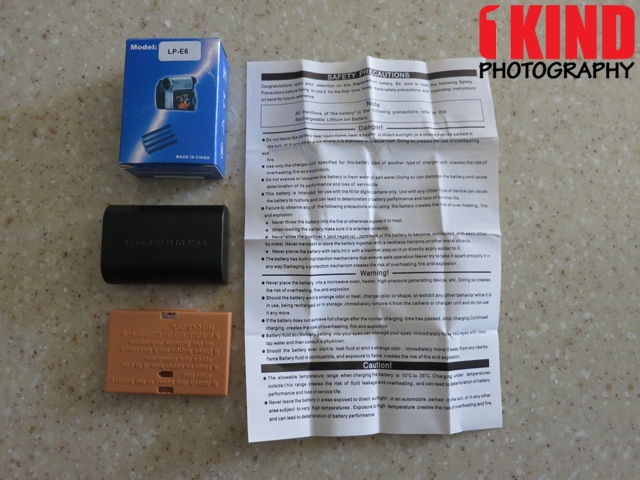 Conclusion : Overall, the SterlingTek POWWER LP-E6 Replacement Canon EOS 5D Mark III Battery. I'm not a fan of 3rd party batteries because of the quality of the battery but Canon U.S.A. charges $100 for the genuine LP-E6 battery and authorized dealers such as B&H Photo and Adorama charges $60. At those price points, I'm willing to sacrifice and get 3rd party. Even if the SterlingTek battery failed on me after the 1 year warranty expired, it would still cost less than an OEM if I was to go out and buy another replacement. There are other 3rd party batteries but they cost slightly more than what SterlingTek is charging but have lesser mAh. SterlingTek's own website sells the battery for $22.99 plus $7.99 shipping. But SterlingTek sells the same battery on Amazon for $25.00 with FREE shipping. Items ordered from SterlingTek may be subject to tax in certain states, based on the state to which the order is shipped. They also have listings at the $22.99 price with shipping. I think it's a no brainer as to where and why I added the Amazon link (I also added a link for OEM Canon battery if you insist on getting OEM). I went to turn on my camera and it gave me a low battery indicator on my Canon 5D Mark III. On the LCD screen of the camera, it gave me an error message saying that there was an issue with the battery and did I want to continue using it. I said "YES" and under the battery info, it said "UNKNOWN" instead of "LP-E6". I called SterlingTek in regards to the battery issue. They asked where I got it from and told them Amazon order number. They confirmed my mailing address and said the battery will be shipped out that day and will arrive the following day. Low and behold, I had a package waiting for me via FedEx Standard Overnight. GREAT customer service! This is not to say that their product quality is horrible. Nothing is perfect and even OEM products will fail. I have another SterlingTek battery that is still kicking and going strong. This update is to show their loyalty to customer and their customer service. I will be purchasing more batteries from them for any new electronic I purchase.